Come take a peek at the Fernwood area on Sunday, when Montclarions will open their historical homes to the public. The legacy of Fernwood makes this a “must see” place in Oakland – as a unique little enclave. Back in 1852, Colonel John Coffee Hays decided the Temescal Creek was a perfect place for a homestead which, for obvious reasons, he called Fernwood. If the place was good enough for Oakland’s founding father and first mayor, then there must be something special about it. After Hays died, two other landed gentry occupied the area. The Dingees lived there first, until their opulent home burned down. Later the Percy family lived a little more modestly there. The fun began after Marion “Borax” Smith and Frank Havens decided to develop this tract. These were the guys running “Realty Syndicate,” which also developed the Key System and the City of Piedmont. The beginning: The 100 (or so) lots development of Fernwood was in 1924, when Havens started selling off the Dingee Estate after an ad campaign that included naming a ferry boat “The Fernwood,” and conducting motorized sales tours from the ferry for potential buyers from San Francisco. Hood location: The area of the ‘hood is basically one long block surrounded on the east by Mountain Blvd, between Thornhill on the south and Florence Terrace on the north and Fernwood Dr, on the west. The area lies about equidistant between Lake Temescal to the north and Montclair Village to the south. Highway destruction: When Landvale Ave. became State Highway 13, following WWII, it wiped out all the houses on the west side of Fernwood Dr. that backed on the freeway as well as a neighborhood swim club and three or four tennis courts located on Florence Terrace. Railroad phase-out: The neighborhood organization, “The Fernwood Club,” came into being to hire attorneys to help protect it when The Sacramento Northern RR stopped running and the intersection at Thornhill and Moraga was remodeled to accommodate a freeway exit and an underpass from the highway. Spared in 1991: In The Oakland Hills Fire of 1991, we were spared almost certain damage when the fire was controlled a block or two to the north at Broadway Terrace as it climbs up the ridge of hills to Skyline Blvd. The Fernwood neighborhood honors its roots, with vestiges of the original Dingee and Percy estates scattered around the properties. According to the Oakland Heritage Alliance, Dingee’s legacy includes remains from waterfalls, terraces, fountains, orchards, and vineyards in local yards and gardens. Percy’s legacy includes various creek-side landscaping, plantings and trees – with some species from the Panama Pacific International Exhibition in 1915. While most homes were built before WWII, they range from the 1920s through 1960s on the street. There’s a range of styles instead of cookie-cutter development, yet Fernwood still seems cohesive and natural in its landscape. While the area’s best known for storybook styles, you can also spot Tudors, Spanish, Mission-Revival, Mission, Regency-inspired and Japanese modern homes there. The houses emerged from different sources. In the 1920s, the Spanish homes were designed by Oaklander Roger Blaine who worked with Timothy Pflueger, the architect who created the Paramount Theater. Another home was designed by a young John Carl Warnecke, who went on to design JFK’s gravesite at Arlington Cemetery. 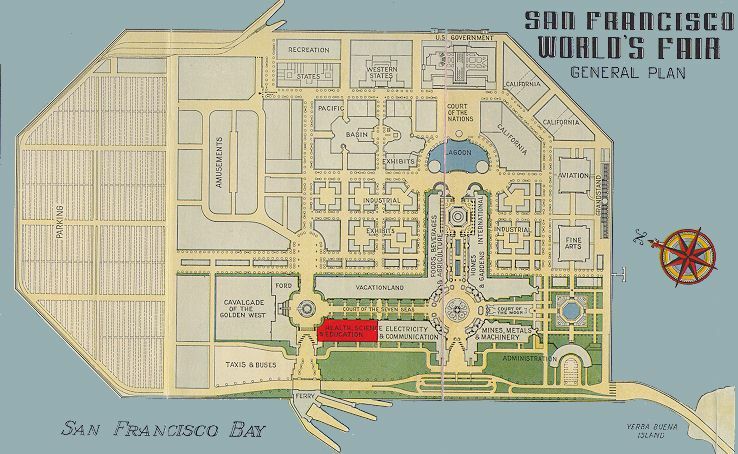 And several homes were even moved here from the Treasure Island World’s Fair in 1939. Since fire danger has always been part of our history, some of the homes are fire-proofed fortresses. After one of the largest fires, the Berkeley Fire of 1924, one notable specimen was constructed with double-brick walls and a slate roof. The early Fernwood homes look like they were built to last, and have done so. Please visit the Storybook Houses of Fernwood this Sunday afternoon. The Oakland Heritage Alliance (OHA) has organized a self-guided tour through the neighborhood, featuring nine Period Revival homes from the 1920s. The hours are from 1:00 to 5:30 pm, and you may visit all the homes by walking along Mountain Blvd and Fernwood Drive. With a part-time administrator and nine-person volunteer board, the OHA organizes nearly two-dozen walking tours and a dozen lectures annually. Doug Dove, who’s an OHA board member and Fernwood House Tour chairman, said that tour attendance was very high all summer long. He expects at least 500 people at Fernwood, including the 60 docents and/or homeowners! The Fernwood neighbors will be a congenial and welcoming bunch. They still operate the Fernwood Club, which taps ino the proceeds of invested money from their old freeway fights. While the Club meets for picnics or dinners, they have also made donations over the years. Most notably they contributed the brick fireplace for Montclair Library, another storybook structure. Thus it’s not surprising that nine Montclarions are sharing their Fernwood properties, and supporting the Oakland Historical Alliance this year. If you have been on any of the historical walking tours before, then you already know the OHA prides themselves on finding experts and having them share their Oakland knowledge. Fernwood’s open houses are the final tour event for the season – in a cool place to live that we call home. Hi there, I can’t help but to wonder why you refer to Borax Smith and Frank C. Havens as the guys who…. it will be a cold day in hell when you will refer to Julia Morgan as the gal…Thanks. Very interesting. I tend to use informal language, and “Captains of Industry” would have worked much better. It does look like built-in bias now.